Writing for children is an extremely competitive business. If you want to write for this market, it is essential that you have an idea which really stands out. With the ever-increasing popularity in self-publishing, how will your book attract readers? And if you are approaching publishers and agents, how will your submission stand out from the slushpile? Whichever approach you take, it’s your job to come up with a stunningly brilliant idea. No pressure, then… One way forward is to develop a ‘high concept’ idea. But what exactly is that and how does it work? The phrase ‘high concept’ is bandied around a fair amount in the writing and publishing world. Basically this means a strong, appealing and original idea which can be explained concisely in a sentence or phrase. If you tell someone you’re writing a book, the inevitable question you’ll be asked is, “What’s your book about?” You probably have a high concept idea when you can reply in a quick and easy sentence, for example: “A boy discovers he’s a wizard and goes off to wizard school.” (Personally, I’d give that particular one a miss – I believe it’s been done). Sometimes high concept ideas can also be explained using two already familiar titles, for example: “Young Indiana Jones meets ‘Back to the Future’.” That simple sentence probably conjures up ideas of a feisty, young would-be archaeologist who can travel through time! Describing it like that, your idea is something which people can immediately comprehend and latch onto. This demonstrates how useful high concept ideas are in the publishing world, for interested editors taking your submission to a sales meeting and also for agents trying to sell your work to publishers. Although high concept books can work well as stand-alone stories, you can imagine the finger-wiggling excitement at a publishing house where an idea is not only considered high concept, but also lends itself beautifully to a series. Children love stories which form a series. They like to collect books and follow the adventures of familiar characters. With junior fiction (approximately ages 5-8), middle-grade fiction (ages 9-12) and young adult fiction (ages 12+), the high concept books can really come into their own. If you wish to create a high concept series, your idea obviously needs to allow the central character potential for other adventures. For example, in the “Young Indiana Jones meets ‘Back to the Future’” proposal, as long as the method of time travel can be sustained, there could be endless opportunities for new stories. Another way to create outstanding ideas, of course, is to read and then read some more. By researching popular books which have already been published, you can learn a great deal. Firstly, as you read widely, you will become more familiar with the nature of high concept itself. You will find yourself being able to pick up a high concept book and explain it concisely, usually just from looking at the cover. This is an incredibly useful skill to master for your own work: it will help if you’re approaching publishers and agents or equally if you’re trying to directly attract would-be readers. Secondly, by researching existing titles, you will be able to identify present and past trends. If you visit a local library or bookshop, you will probably be able to find many different books about the same topic, for example, stories which have a school setting. Or which, say, have fairies as the main characters. By looking at the various ways different authors have approached the same topic, you may start thinking in a broader and more creative way. For example, consider the school setting. It’s a topic which has been done so many times, but it’s still immensely popular as children can easily identify with it. 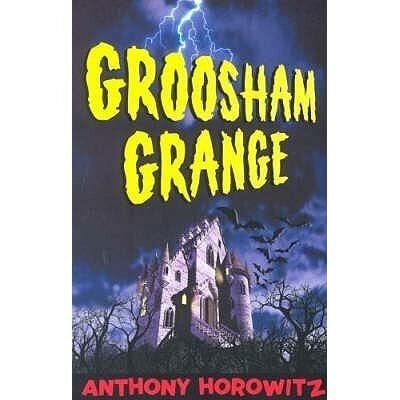 There are many ways to put a different spin on the same subject, to name a few: ‘Glitterwings Academy’ series (a boarding school for fairies) by Titania Woods; ‘Groosham Grange’ (a mysterious school for wizards) by Anthony Horowitz or the ‘Pirate School’ books (a school for pirates) by Jeremy Strong. In each case, the high concept is clear. As you research and read, let the inspiration brew for a while – can you think of a way to put a fresh spin on a familiar and appealing concept? If nothing immediately springs to mind, you can get the creative juices flowing using a fun ‘mix and match’ approach. Take a familiar and done-to-death character type or concept (for example, pirates or fairies) and give them a new lease of life by matching them with another done-to-death concept (such as superheroes or time travel), even if at first glance it seems completely incongruent. You could end up hitting the creative jackpot! A good example of this is Steve Cole’s ‘Astrosaurs’ series. The title itself explains the concept well: it’s an intriguing and ingenious mixture of dinosaurs and astronauts, where a team of dinosaur astronauts have adventures in space. The basic premise is that the dinosaurs had not in fact been wiped out by a meteor millions of years ago – they disappeared because they had discovered space travel. Dinosaurs and space travel! How can that possibly not appeal to young boys? Furthermore, Steve Cole went on to produce a spin-off series called Astrosaurs Academy. This follows one of the dinosaur characters in an earlier stage of his life, when he was training. Here, very cleverly, three popular concepts are mixed: dinosaurs, space travel and that familiar setting once again: school! Another good example is Cressida Cowell’s ‘How to Train Your Dragon’, which has done more than slightly well for itself. This pairs up Vikings with dragons: two concepts already strong in themselves, bursting with the promise of adventure. But put them together, and you have a whole new explosive scenario. This has resulted in many spin-offs, both in books and television. Some of the combinations may sound extremely far-fetched (although, don’t forget, this is fiction!) but with well-thought out characters and plots, the results can be fantastic. Don’t be afraid to try new combinations for inspiration. It’s also extremely good fun! When you look at each of the subjects you’re using, it can be helpful to really thrash out their components to help you find interesting links and even plotlines. For example, if you’re looking at ‘pirates’ as your main characters, brainstorm all the different things you would associate with them, such as treasure-hunting, sailing, parrots, rum, ships and so on. Then, to give things a fresh twist, look at new things you could link to pirates but which still have a familiar feel. For example, instead of searching for treasure with their maps, are the pirates looking for something else? Or instead of sailing the seven seas, could they be travelling elsewhere or in an alternative way? As you draw out ideas from your two mix-and-match concepts, are there any links you can make between the two? Any brave, original but captivating ideas? Once you find the idea which grabs you, it doesn’t stop there, of course. It’s vitally important not to neglect the crucial elements of storytelling, simply in the pursuit of high concept. There’s no point having a fabulous idea about ninja mermaids if you don’t really have the interesting characters and page-turning plot to back it up. Another way to develop your ideas is to analyse stagnant past or current writing in the light of high concept. Is your premise fresh, catchy and unique? Does it have an interesting twist or is it quite similar to existing ideas? Could a publisher look at your work and see the sales potential? Could an agent describe it easily to a publisher? Can you clearly and concisely sum up the idea in a sentence? Finally, it’s important to remember that despite its popularity, not every book has to be high concept, this is only one approach. However, agents and publishers are certainly on the lookout for these easily marketable proposals. The idea you’re developing may be just what they are searching for. It may take a while to find the one you want to run with, but as you play around with ideas, don’t be afraid to think big!